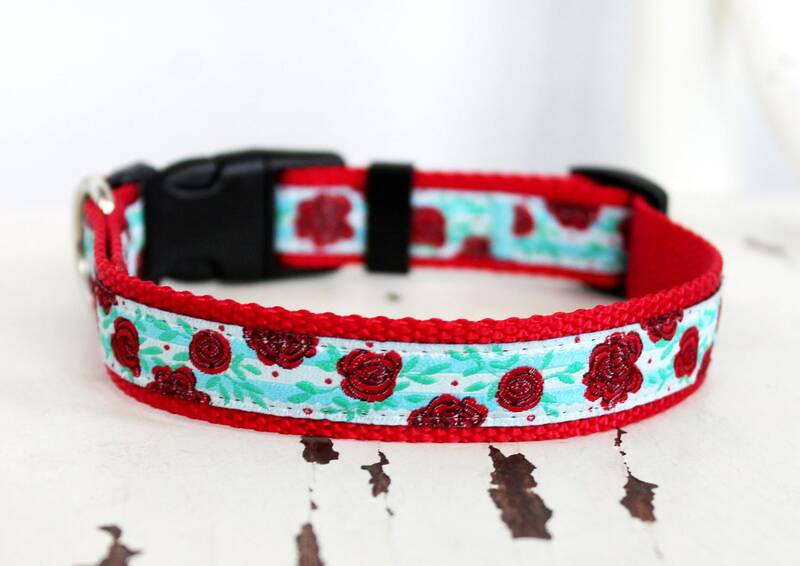 Red Roses Dog Collar. 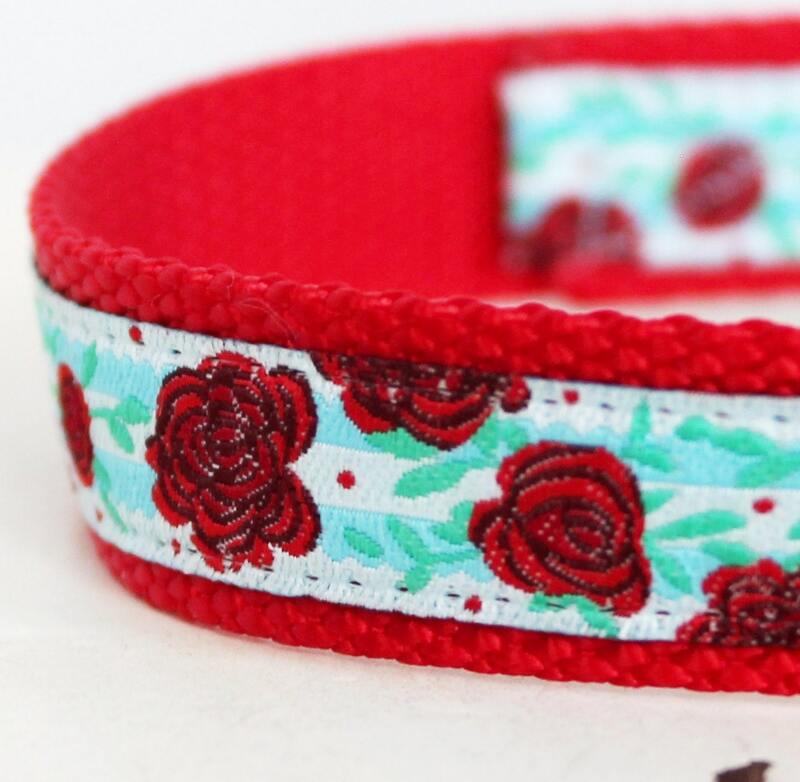 Adorable Shabby Chic collar is red roses on a teal striped background. It is placed on red heavyweight nylon webbing. *Pictured is a 3/4 inch width collar Example of the varying widths in last picture. If you purchase a 1 inch width collar they will be made as in this listing with ribbon layered underneath per the last picture listed. 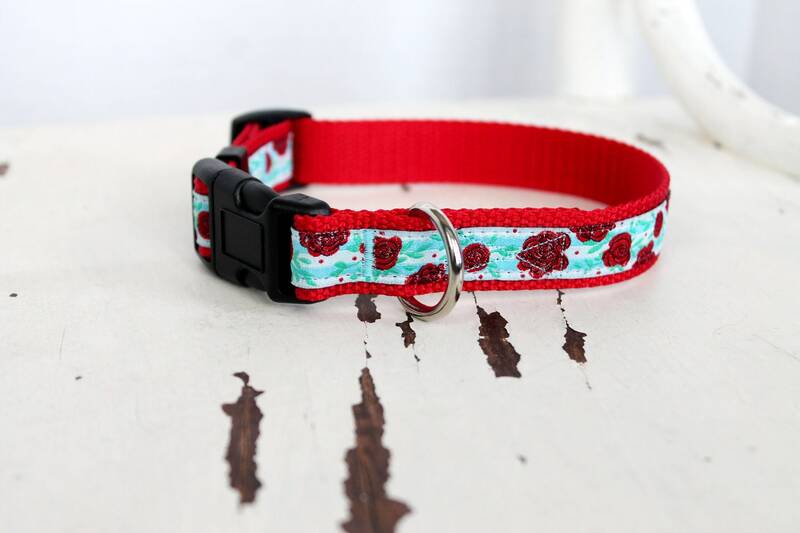 Cute collar, roses for " Rosie ". Love it, so pretty! A repeat customer and I'm never disappointed. I love the ruffle option and think it adds such a nice touch, so I always add it. 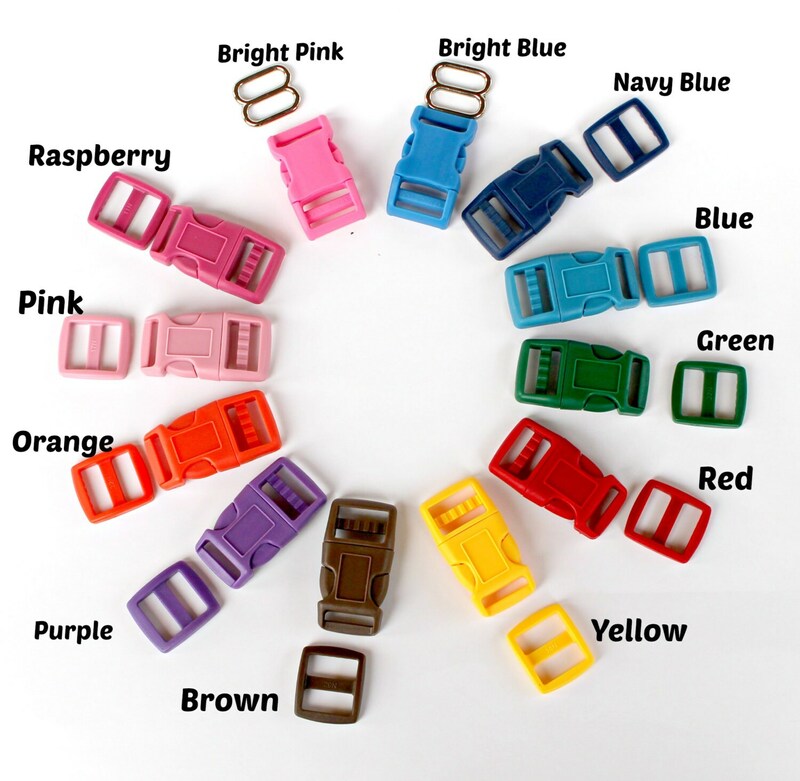 I'm so excited for the tag holder you added so I can switch between all of your lovely collars I have! Many thanks and I'll continue to be back!